At the moment I am a PostDoc and Erwin Schrödinger-Fellow working with Mireille Bousquet-Mélou at the Laboratoire Bordelais de Recherche en Informatique at the Université de Bordeaux. My main interests lie within (analytic) combinatorics, with an emphasis both on exact and asymptotic results for the enumeration of labelled and unlabelled structures and on probabilistic limit laws for combinatorial parameters. My main focus areas are lattice paths and tree-like structures. with Cyril Banderier;	submitted to a conference, 2019.
with Élie de Panafieu and Mohamed Lamine Lamali;	accepted in Proceedings of AlgoTel 2019, Saint Laurent de la Cabrerisse, 2019.
with Élie de Panafieu and Mohamed Lamine Lamali;	in Proceedings of the Sixteenth Workshop on Analytic Algorithmics and Combinatorics (ANALCO), San Diego, 2019.
with Cyril Banderier;	in Proceedings of GAScom 2018 conference, Athens, 2018.
with Cyril Banderier and Philippe Marchal;	in Proceedings of GAScom 2018 conference, Athens, 2018.
with Cyril Banderier and Philippe Marchal;	in Proceedings of the 29th International Conference on Probabilistic, Combinatorial and Asymptotic Methods for the Analysis of Algorithms (AofA 2018), Uppsala, 2018.
with Lukas Spiegelhofer;	Journal of Number Theory, Volume 192, November 2018, Pages 221-239.
with Lukas Spiegelhofer;	to appear in The Electronic Journal Combinatorics. Theoretical Computer Science,Volume 755, 10 January 2019, Pages 1-12.
with Antoine Genitrini, Bernhard Gittenberger & Manuel Kauers; accepted in Journal of Combinatorial Theory, Series A.
with Cyril Banderier, Christian Krattenthaler, Alan Krinik, Dmitry Kruchinin, Vladimir Kruchinin & David Nguyen; Lattice Path Combinatorics and Applications, G. E. Andrews, C. Krattenthaler and A. Krinik (eds. ), Developments in Mathematics, Springer-Verlag, Cham, 2019, Pages 78-118. Full version, submitted to a journal. In Proceedings of the 27th International Conference on Probabilistic, Combinatorial and Asymptotic Methods for the Analysis of Algorithms (AofA 2016), Krakow, 2016.
with Bernhard Gittenberger & Emma Yu Jin; full version, Discrete Mathematics, Volume 341, Issue 4, April 2018, Pages 896–911. with Bernhard Gittenberger & Emma Yu Jin; in Proceedings of the Fourteenth Workshop on Analytic Algorithmics and Combinatorics (ANALCO), Barcelona, pages 85-93, 2017.
with Lukas Spiegelhofer; Acta Arithmetica 181 (2017), 27-55.
with Cyril Banderier; full version, Discrete Mathematics & Theoretical Computer Science, September 29, 2017, Vol 19 no. 1.
with Cyril Banderier; Electronic Notes in Discrete Mathematics, Volume 59 (dedicated to the GAScom 2016 conference), June 2017, Pages 131–146. with Cyril Banderier; full version, Lattice Path Combinatorics and Applications, G. E. Andrews, C. Krattenthaler and A. Krinik (eds. ), Developments in Mathematics, Springer-Verlag, Cham, 2019, Pages 119-154.
with Cyril Banderier; in Proceedings of the Fourteenth Workshop on Analytic Algorithmics and Combinatorics (ANALCO), San Diego, pages 105-113, 2015.
with Cyril Banderier; in Proceedings of the VIENNA young SCIENTISTS SYMPOSIUM (VSS), Vienna, pages 98-99, 2016.
with Cyril Banderier; in Proceedings of the 25th International Conference on Probabilistic, Combinatorial and Asymptotic Methods for the Analysis of Algorithms (AofA 2014), Paris, pages 25-36, 2014. PhD thesis written under the supervision of Bernhard Gittenberger, TU Wien, 2016. Master's thesis written under the supervision of Michael Drmota, TU Wien, 2013. Master's thesis written under the supervision of Matthias Maischak, Brunel University, London, 2012.
with Marie-Louise Lackner; lecture notes of a mini-course held at the ALEA in Europe Young Researchers' Workshop, University of Bath, Bath, UK, December 2015. Pólya urns and Young Tableaux, joint work with Cyril Banderier (LIP13 Paris Nord) and Philippe Marchal (Paris 13). Gene family histories, joint work with Cedric Chauve (SFU) and Yann Ponty (LIX, Ecole Polytechnique). Walks in the 3/4-plane, joint work with Mireille Bousquet-Mélou (LaBRI). Lattice paths with catastrophes in higher dimensions, joint work with Mireille Bousquet-Mélou (LaBRI). Asymptotics of compacted trees without height restrictions, joint work with Andrew Elvey-Price (University of Melbourne) and Wenjie Fang (TU Graz). Lattice paths below a line of irrational slope, joint work with Cyril Banderier (LIP13 Paris Nord). Critical compositon schemes, joint work with Cyril Banderier (LIP13 Paris Nord) and Markus Kuba (FH-Technikum Wien). The reflection-absorption model for directed lattice paths, joint work with Cyril Banderier (LIP13 Paris Nord). The kernel method and Pólya urns, joint work with Hsien-Kuei Hwang (Academia Sinica). Counting and Sampling Gene Families Evolutionary Histories, held at the Seminar Combinatoire Énumérative et Algébrique, together with Cédric Chauve, LaBRI, Bordeaux, France, April 2019. Periodic Pólya Urns and Asymptotics of Triangular Young tableaux, held at the Journées de combinatoire de Bordeaux, LaBRI, Bordeaux, France, February 2019. Periodic Pólya Urns and Asymptotics of Triangular Young tableaux, held at the Séminaires de Probabilités-Statistiques, Université de Versailles Saint-Quentin-en-Yvelines, Versailles, France, February 2019. Limit laws for lattice paths with catastrophes, held at the Joint Mathematics Meetings 2019, Baltimore, USA, January 2019. A bijection of plane increasing trees with bounded relaxed binary trees, held at the 4th Algorithmic and Enumerative Combinatorics Summer School 2018, Hagenberg, Austria, July 2018. Periodic Pólya urns and an application to Young tableaux, held at the 29th International Conference on Probabilistic, Combinatorial and Asymptotic Methods for the Analysis of Algorithms (AofA 2018), Uppsala, Sweden, June 2018. Periodic Pólya urns and an application to Young tableaux, held at the Seminar Combinatoire Énumérative et Algébrique, LaBRI, Bordeaux, France, June 2018. Asymptotic Enumeration of Compacted Binary Trees with Height Restrictions, held at the Computational Logic and Applications, Sorbonne University, Paris, France, May 2018. Periodic Pólya urns and an application to Young tableaux, held at the Journée MathStic - Combinatoire, probabilités, et physique, LIPN, Paris, France, May 2018. A bijection of plane increasing trees with bounded relaxed binary trees, held at the Journées ALEA, CIRM, Marseille, France, March 2018. Asymptotic Enumeration of Compacted Binary Trees with Height Restrictions, held at the Seminar of the Combinatoire Énumérative et Algébrique, LaBRI, Bordeaux, France, February 2018. Half-normal lattice paths, held at the PhD Seminars Mathematics, Ghent University, Belgium, December 2017. Asymptotic Enumeration of Compacted Binary Trees with Height Restrictions, held at the Seminar "Computations and Proofs" at SpecFun, INRIA, France, December 2017. Lattice paths with catastrophes: limit laws and random generation, held at the Séminaire de Probabilités et Théorie Ergodique, Univeristé de Tours, France, November 2017. Limit laws for lattice paths with catastrophes, held at the séminaire de combinatoire, LIPN, Paris, France, September 2017. An introduction to lattice path counting (with catastrophes), held at the PostDoc Seminar, Institute of Statistical Science, Academia Sinica, Taiwan, July 2017. Limit laws for lattice paths with catastrophes, held at the Seminar on Combinatorics, Institute of Mathematics, Academia Sinica, Taiwan, July 2017. The kernel method for lattice paths below a line of rational slope, held at the Algo@ISS-AS Seminar, Institute of Statistical Science, Academia Sinica, Taiwan, June 2017. A note on the scaling limits of random Pólya trees, held at the Analytic Algorithmics and Combinatorics (ANALCO), Barcelona, Spain, January 2017. Compacted binary trees, held at the SFB F50 Algorithmic and Enumerative Combinatorics status seminar, Strobl, Austria, November 2016. A note on the scaling limits of random Pólya trees, held at the seminar of the Arbeitsgemeinschaft Diskrete Mathematik, Vienna University of Technology, Austria, November 2016. Lattice paths with catastrophes, held at the 77th Séminaire Lotharingien de combinatoire (SLC77), Strobl, Austria, September 2016. A half-normal distribution scheme for generating functions, held at the Asymptotic Analysis of Algorithms & Combinatorial Structures (A3CS), Paris, France, September 2016. A half-normal distribution scheme for generating functions and the unexpected behavior of Motzkin paths, held at the 27th International Conference on Probabilistic, Combinatorial and Asymptotic Methods for the Analysis of Algorithms (AofA 2016), Kraków, Poland, July 2016. Lattice paths below a line of rational slope, held at the Final conférence of the MADACA project, Domaine de Chalès, France, June 2016. A half-normal distribution scheme for generating functions, held at the seminar of the Arbeitsgemeinschaft Diskrete Mathematik, Vienna University of Technology, Austria, June 2016. The reflection-absorption model for directed lattice paths, speed talk with poster presentation held at the VIENNA young SCIENTISTS SYMPOSIUM (VSS16), Vienna, Austria, June 2016. An Invitation to Analytic Combinatorics and Lattice Path Counting, mini-course with lecture notes, held at the ALEA in Europe Young Researchers' Workshop, University of Bath, Bath, UK, December 2015. Counting compacted trees, held at the SFB F50 Algorithmic and Enumerative Combinatorics status seminar, Strobl, Austria, December 2015. Why and when does the half-normal distribution appear in combinatorics?, held at the séminaire de combinatoire, LIPN, Paris, France, September 2015. A half-normal limit distribution scheme and applications to lattice paths, held at the 8th International Conference on Lattice Path Combinatorics & Applications, Cal Poly Pomona, USA, August 2015. The extension of a Rayleigh limiting distribution scheme, held at the SFB workshop on Lattice Walks, Hagenberg, Austria, May 2015. Lattice paths of slope 2/5, held at the Analytic Algorithmics and Combinatorics (ANALCO), San Diego, USA, January 2015. Lattice paths of slope 2/5, held at the SFB F50 Algorithmic and Enumerative Combinatorics status seminar, Strobl, Austria, December 2014. Lattice paths of slope 2/5 – Solving a problem of Knuth, held at the seminar of the Arbeitsgemeinschaft Diskrete Mathematik, Vienna University of Technology, Austria, November 2014. Some (more) reflections on lattice paths, held at the probability seminar of the Université Francois Rabelais, Tours, France, September 2014. Some reflections on lattice paths, held at the 25th International Conference on Probabilistic, Combinatorial and Asymptotic Methods for the Analysis of Algorithms (AofA 2014), Paris, France, June 2014. Some reflections on directed lattice paths, held at the seminar of the Arbeitsgemeinschaft Diskrete Mathematik, Vienna University of Technology, Austria, May 2014. Disclaimer: All items are copyrighted either by the author or the publisher. The files available on this website are preprints. For published papers, use the corresponding publications for the final version. The copyright for published papers is owned by the publishers. Member of organizing committee of the ALEA in Europe Workshop, Vienna, Austria, 2017. Member of organizing committee of the European Conference on Combinatorics, Graph Theory and Applications (Eurocomb 2017), Vienna, Austria, 2017. Member of organizing committee of the 4th ALEA in Europe Young Researcher's Workshop, Vienna, Austria, 2016. Member of organizing committee of the 26th International Meeting on Probabilistic, Combinatorial and Asymptotic Methods for the Analysis of Algorithms (AofA 2015), Strobl, Austria, 2015. 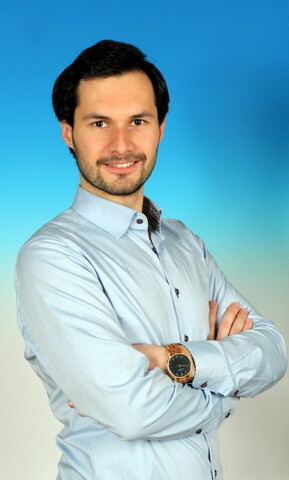 Administrator of the website of the seminar of the Arbeitsgemeinschaft Diskrete Mathematik, TU Wien, Austria, since 2014. Teaching support at the Institute of Discrete Mathematics and Geometry, TU Wien, Austria, since Nov. 2013. 11/2013-01/2017: PhD-studies at TU Wien under the supervision of Bernhard Gittenberger. 07/2011 - 10/2013: Technical Mathematics in Computer Sciences, TU Wien, MSc;	Master thesis Lattice path combinatorics supervised by Michael Drmota. 09/2011 - 09/2012: Computational Mathematics with Modelling, Brunel University London, MSc; Master thesis Algebraic Multigrid Methods for Higher-Order Finite Element Discretization with parallelization supervised by Matthias Maischak. 10/2008 - 07/2011: Technical Mathematics in Computer Sciences, TU Wien, BSc;	Bachelor thesis Factorization of polynomials over finite fields supervised by Michael Drmota. 09/2001 - 07/2007: EDV & Organsiation, HTBL Pinkafeld; Austrian Matura. Here is a longer CV (updated 12/2018). © 2015 Michael Wallner. All rights reserved.